As violent protests continue to roil Haiti, a Quebec-based coalition is calling on Ottawa to put a hold on sending asylum seekers back to the Caribbean nation. 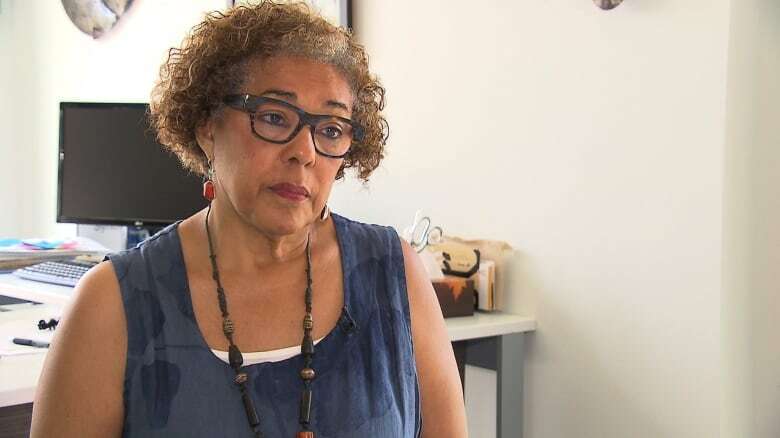 "My concern is that the situation in Haiti is uncertain and there is big turmoil over there," Marjorie Villefranche, director general of Montreal's Maison d'Haïti, told CBC Montreal's Daybreak Wednesday. "Now we are working with asylum seekers whose demand has been rejected and they have to go." Haitian families being sent back to Haiti, she said, will face a dangerous situation and "you cannot do that." Calling it a humanitarian issue, Villefranche said the Haitian Coalition for Migrants, a provincial group formed last year to help migrants of all nationalities, is writing to the federal government today, demanding Canada put Haiti back on the list of countries that migrants cannot be sent back to. Deportation to Haiti was stopped temporarily after the 2010 earthquake and now, she says, it's time to stop deportations again. "There is a list of countries where you cannot be sent back there, and we want Haiti to be put back on that list," she said. A request for comment from the Canadian government was not immediately returned Wednesday. The recent protests were sparked by government's double-digit hike of gasoline, diesel and kerosene prices last week. The government has since cancelled that hike, but the damage was done. Many are calling it the tipping point as tensions in the impoverished nation have been building for some time. 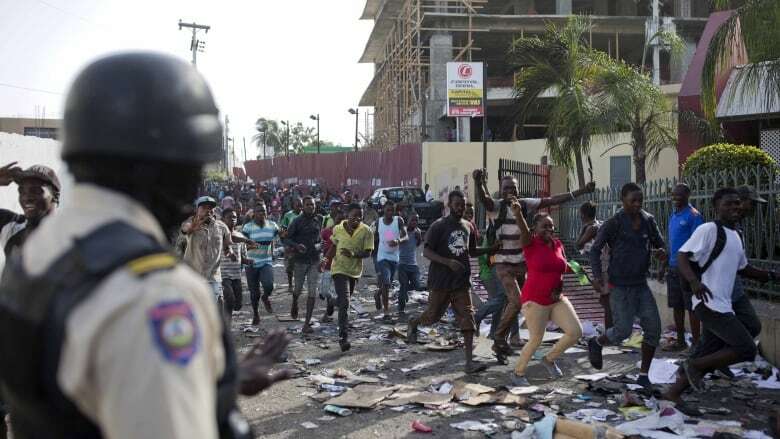 Thousands of Haitians, tired of living in poverty and struggling to survive, continued to march in the streets Wednesday, looting businesses, committing arson and battling with police. There have been several deaths reported as protesters demand the current president, Jovenel Moïse, step down. The Canadian government is cautioning citizens against non-essential travel to Haiti and several airlines have cancelled flights to the country. The latest round of unrest in the country comes as thousands of Haitians are awaiting a decision about whether they will be allowed to stay in Canada. According to the Immigration and Refugee Board of Canada, of the 6,920 refugee protection claims processed between January and March 2018, 610 were Haitians. Of those claims, 471 were rejected. More than 7,400 claims for asylum, many of which were made in 2017, were still pending as of March 31. "The situation there is horrible," said Montrealer Jennifer Sidney, who has friends and family in Haiti. "I have a friend, she has to sleep on her belly because gunshots are shooting everywhere." Another friend's husband, she said, lost his restaurant when rioters lit it ablaze. The same thing, she added, happened to a different friend who lost her dance school to arson. "It's really sad what's going on there. But in the same way, it's like a sign of transition. The Haitian people, what they're screaming, is that, 'enough is enough.' They are tired of this profound misery." Sidney said she feels powerless watching the turmoil unfold, but she is doing what she can for her friends and family there. The hike in gas prices, he said, was the final straw as frustrations have been growing for some time. Kevin Calixte, a Montreal visual artist who is involved in the local Haitian community, agrees. He told CBC News protests were inevitable in Haiti considering the majority of its citizens are struggling to survive. "It's a reality that happens every day in Haiti," he said. "The gas price was only the right stuff for the balloon to explode."